Learning to play an instrument, specifically piano, improvises your memory and learning capabilities. Whether you are inclined towards the melodious classical music or the upbeat jazz and pop, piano is the key of your interest. Learn to play the keyboard with the best online tutorials available for you. Learn Piano in weeks not years. Play-by-ear & learn to read music. Pop, Blues, Jazz, Ballads, Improvisation, Classical. You start with popular rhythm style piano (think of artists like Lennon & McCartney, Elton John, Billy Joel, Barry Mannilow, Lionel Ritchie, Coldplay, Norah Jones and so on) which means you get to sound like a pro right from the start. You then expand step-by-step into Ballad style, Blues, Jazz, Ragtime, Improvisation and creating your own melodies. You will even learn how to read music AS you learn how to ‘play-by-ear’ and eventually you will be able to play some classical pieces. There is a complete PDF ebook at the end of each section. It's very important to learn from printed instruction as well as video so that you can explore more written material after you finish the course. This course contains logically structured lectures which will give you a solid foundation to pursue more advanced study. A full guide on learning how to use every single note on the piano. This course is broken down into 3 different sections. Basic, intermediate, and advanced. Basic is for students who are just starting to learn the piano. Intermediate are for the ones who completed the basic section or who already have a few years of experience with the piano. Advanced is for players who have completed the basic and intermediate sections and are ready to learn the piano at a masterful level. 4. Piano for Singer/Songwriters | Write Songs and Perform Live! In this course, you'll learn how to play piano as a singer/songwriter. It's a unique method that takes somebody with zero musical experience and transforms them into a piano wielding singer/songwriter. Every lecture builds upon the previous lecture, and it contains challenges for you to learn from. A Complete 40 Hours+ Piano Course | Learn about Scales , Chords , Playing piano by ear , Music Theory & more lessons ! Know how to use major chords, minor chords, diminished chords, augmented chords, suspended chords, dominant 7th chords, and secondary dominant chords. In this course, you will learn about how many scales and chords are built. You will learn how to be to play any song you want to play. Furthermore, you will also learn about how to figure out the chords of a song and how to play a song by using chords. You will learn good techniques, making it possible for you to play any kind of song of any kind of genre. You will also learn how to read sheet music and other basics. Master keyboard fundamentals by learning popular tunes from "the best piano teacher in London"
This course will teach you how to play the following pieces from memory: the riff to John Lennon's "Imagine"; the opening of Pachelbel's "Canon"; the bass line and chords of Michael Jackson's "Billie Jean"; Amazing Grace hands together; Happy Birthday hands together; and When the saints. You will apply the theory and skills learned during the lectures in songs that you will play together with a band (play-along mp3 files and MIDI files included). This course provides you with lots of practice files (mp3 and MIDI) in all 12 keys and in several tempos included. All scales, chords and more included in handy downloadable pdf files for later reference (with finger positions for left and right hand). Rich piano chords, bass line and improvisation using a 12-bar blues. Take your piano playing to the next level. 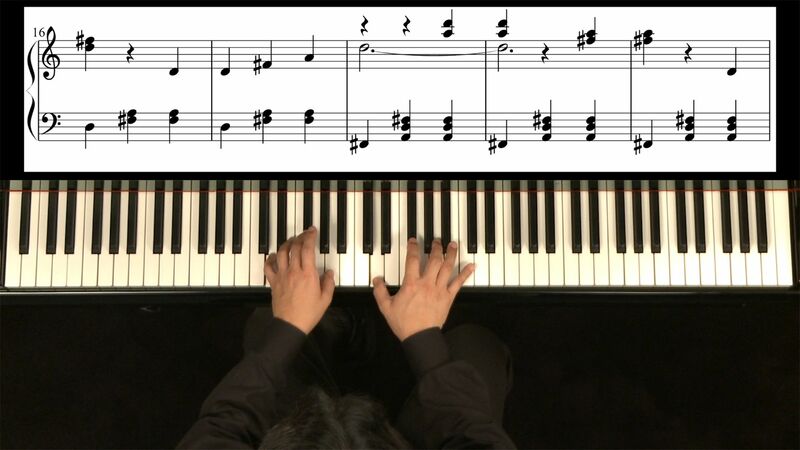 In this course you’ll learn rhythms, chords, accompaniments, improvisation and other techniques commonly used by jazz pianists. This course is built off of the PianoWithWillie method which combines both foundational and fun’dational elements to create a well-rounded, self-expressive pianist. You will learn how to take a piece of classical music apart bar by bar, section by section, and understand how it was all put together: from the musical ‘form’ – distinct sections and subsections – to the underlying chord structure, visual clues, patterns and repeats. Similarly with Classics By Ear you will learn to play the pieces by following the videos, keyboard diagrams or ‘cheat sheets’.